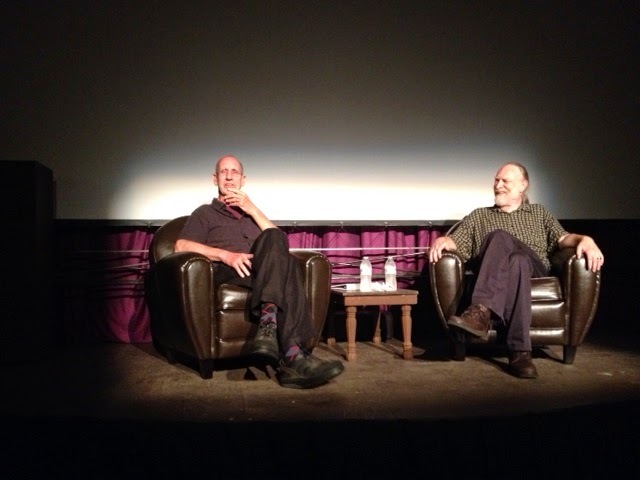 It was a great Spring at the Strand: Kosfest, 7 films (including 2 live Skype interviews), 6 performances of the Great Gatsby, 2 performances of 3 Women 3 Paths, One True God, 2 music concerts - all in 10 weeks. Now the weather tells us it's time to take a break until Fall, because we have no air conditioning. But we say "no." Not this time. A sympathetic contractor has offered to help us design and install a system. A generous donor has given us a challenge. He will give us $2500 if we can match it. Our friends are making contributions to our newly established AC fund. It looks like we may be able to crank up our programming before Fall. The Westside Theatre Foundation is a 501 (c) (3). We are accepting donations to make this project happen ASAP. 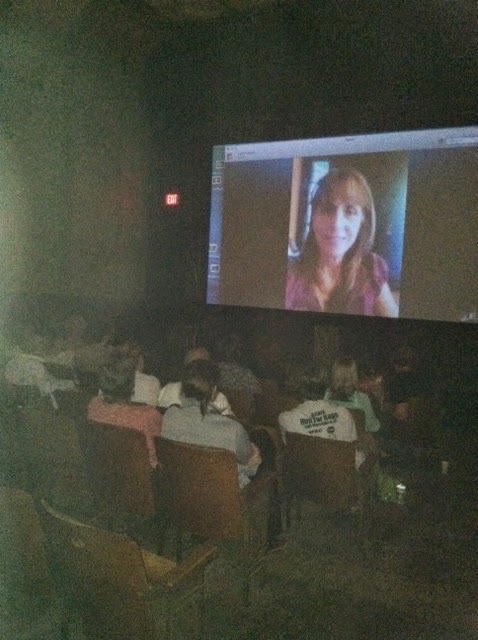 with live SKYPE appearance by one of the pilgrims featured in the film. What is it about Spain's ancient Camino de Santiago trail that lures hundreds of thousands of people from around the world to spend weeks, even months, walking 500 miles with nothing more than a backpack, a pair of boots and the promise of experiencing something truly extraordinary? The award-winning documentary WALKING THE CAMINO explores the enduring and mysterious attraction of this pilgrimage. Called a “brilliant documentary” by actor Martin Sheen, (star of the 2010 fictional account “THE WAY”), WALKING THE CAMINO uniquely captures authentic stories from the trail itself as it follows in the footsteps of six pilgrims, ages 3 – 71, as they make their way across the picturesque countryside of Spain to the Cathedral of Santiago de Compostela and beyond. While each of the pilgrims come from a different life experience than the next, their stories converge as they share in the transformational journey of the Camino. WALKING THE CAMINO has received critical and audience accolades across the country. From Washington to Florida, it has won an award, sold out, or both in every film festival where it has screened; that’s thirteen laurels and counting, including one awarded overseas in Spain. It won Best Documentary in its debut at the American Documentary Film Festival in Palm Springs, and went on to garner that same honor at five more festivals, including the respected Hollywood Film Festival. Plus, the film received an honorable award for Outstanding Achievement in Documentary Filmmaking from the Newport Beach Film Festival. Now this best-selling film is on a U.S. cross-country theatrical film tour and is coming to Vicksburg. After the screening Annie O’Neil, one of the featured subjects of the film, will do a live Skype Q&A. WALKING THE CAMINO: SIX WAYS TO SANTIAGO is produced by Lydia B. Smith, Sally Bentley, and Theresa Coleman. Director Lydia B. Smith is a veteran documentary filmmaker, a former resident of Barcelona, and an alumna of the Camino de Santiago herself. Interview, images, and video available upon request. Kos Kostmayer has lived in Vicksburg for more than twenty years, but Westside Theatre Foundation's upcoming Kosfest will give the community a chance to become familiar with this award winning writer's work. The event, which will be held downtown at the Strand Theatre at 7 PM on Saturday, May 10, will feature a conversation with Kos, excerpts from a feature film he wrote, and readings of a number of his poems, along with some of his short fiction. “Putting a spotlight on Kos is something I have wanted to do since we started showing films at the refurbished Strand," said Daniel Boone, programmer for the cinema. “One of Kos’ plays recently enjoyed an extended run in Los Angeles, where it received rave reviews, so I thought this would be the perfect time." The theater critic for the LA Examiner, in a review echoed by numerous other critics, had this to say about the play: "Kos Kostmayer's exhilarating tale On The Money is a brilliant revelation of human emotion exquisitely executed by a truly stellar cast. This is live theatre at its very best." Kos' plays have also been seen in New York City, Harare, Berlin, Toronto and a number of colleges and universities, including Millsaps College where he has been a visiting artist on two occasions. He has received the Los Angeles Drama Critics Circle Award for Best Play, numerous Dramalogue Awards and an Otis L. Guernsey Prize from the Association of American Theatre Critics. Kos was born in New Orleans, but moved to New York as a child. “We were a Southern family in New York City, but I always considered myself to be a New Yorker,” Kos explained. While supporting his growing family with a variety of blue collar jobs, from loading and off loading trucks on the Brooklyn docks to shuttling cars to painting houses to working in some of Manhattan's busiest bars and restaurants, Kos pursued a writing career, writing plays and poems late at night or early in the morning before going off to work. Kos published some of his early work and came to the attention of the producers of Big Blue Marble, the Emmy Award winning educational TV series for children. Kos landed a job writing narration for Big Blue Marble, later becoming the supervising writer and field producer for that show before going on to work as head writer and producer for a number of documentary television shows. He wrote and directed several documentaries, including films on The National Theatre of the Deaf and The First All Children's Theatre. Kos moved to Los Angeles for a 1983 production of his play entitled On The Money. Based on a true story, On the Money was about the robbery of a bar much like the one he worked in. On The Money ran for nine months and was named Best Play of the Year by the Los Angeles Drama critics. The success of that play led to a pair of producers approaching Kos about writing a screenplay based on another true incident, this one involving a scorned wife's repeated attempts to murder her philandering husband. That movie was eventually made as I Love You to Death, starring Kevin Kline, William Hurt, River Phoenix, Keanu Reeves, and Tracey Ullman. The movie was a box office success, getting two thumbs up from Siskel and Ebert and high praise in a good many publications, including People Magazine, which described Kos as a cross between Henny Youngman and Samuel Beckett. While in Los Angeles, Kos reconnected with a friend from New York, Martha Ferris, who starred in Kos' play The History Of Fear, which was produced at The Victory Theatre in LA, earning Kos another Dramalogue Award. His success as a playwright opened up more opportunities for Kos, who found plenty of work writing for movies and television. When he was asked to name the most challenging assignment he faced as a writer in Los Angeles, he said, "Persuading Martha Ferris to marry me." Apparently his powers of persuasion were up to the task, and he and Martha were married in 1984. They eventually moved here to Warren County to her family’s farm, where they reside today. As Kos says, “a writer can write anywhere.” Kos continues to write plays, screenplays, short fiction and novels. He is currently in conversation with producers who would like to turn his play On The Money into a film. (Please see below for an excerpt from one of the reviews for On The Money).